Odisha’s rich cultural history continues to shape its present. Its transformation from relative isolation to the technology-savvy state definitely started from its capital city – Bhubaneswar. Institutions imparting technical education, corporate houses and giant industrial establishments have made this transformation possible. 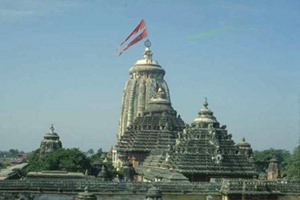 Bhubaneswar which always remained the nerve centre of the state has a chequered history. 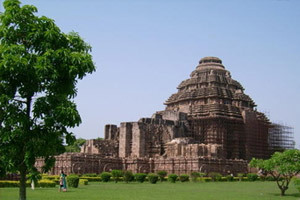 Since the Great Kalinga War of 261 BC fought in the outskirts of the city that changed the course of history and the emergence of powerful Chedi ruler Kharavela in the early centuries of Christian era, Bhubaneswar remained at the centre of activities. Nowhere in India one finds such large number of edifices at one place. 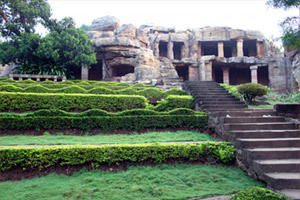 Apart from remarkable Jain caves of Khandagiri and Udayagiri, hundreds of beautiful temples including Lingaraj, Mukteswar, Rajarani, Brahmeswar, Vaital, etc. dating from 6th Century AD to 13th Century AD, the city continues to attract visitors from all over the world to its other attractions including Nandankanan Zoological Park that houses with Tigers, Regional Plant Resource Centre famous for the largest collection of Cacti, and Dhauli on the banks of river Daya that stands as the witness to the fierce battle Ashoka fought with Kalinga, has conversion to Buddhism and the subsequent journey of Buddhism to countries beyond India. 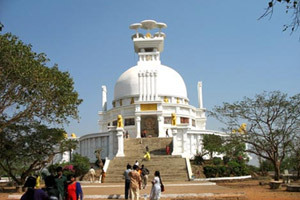 Bhubaneswar with close proximities to several other places of interest remains a ‘must visit’ in the itinerary of both connoisseurs and laymen. Sixty Km away from the city stands the magnificent 192 ft high 12th C AD temple of Jagannath at Puri. Millions of people come here every year to seek the blessings of Lord Jagannath – the Lord of the Universe. 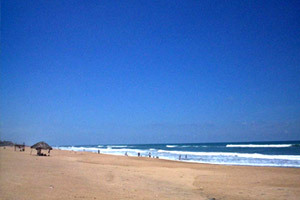 Puri has one of the most beautiful beaches of the world on the eastern coast of the Bay of Bengal. Situated at a distance of 80 Km from Bhubaneswar, Sun temple at Konark – the UNESCO World Heritage Monument and the 13th Century ‘Poetry in Stone’ stands as an architectural wonder. Chilika – the largest brackish water lagoon of Asia is just another attraction lies 100 Km away from Bhubaneswar is an ornithologist’s paradise. Pipili, just 16 Km away from the city on way to Puri presents the most colourful appliqué work. 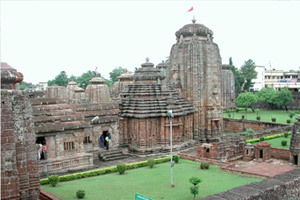 Bhubaneswar, thus, offers almost everything a visitor expects in any dream destination. The Biju Patnaik Airport connects Bhubaneswar to all the major cities of the country. Being the zonal headquarters of East Coast Railways, Bhubaneswar has remained an important station with several trains starting from here connecting it to almost every other city of India. Besides, every south bound train from Kolkata and north-east passes by Bhubaneswar. With National Highway No. 5 running through the city, Bhubaneswar can be reached from any place between Kolkata and Chennai.